We landed in Manila and stayed there for 2 nights, then made our way to Palawan and stayed in El Nido for 3 nights before heading up to Coron for 2 nights. After that we flew to Cebu and stayed in a town called Badian for 2 nights. But let's get into detail so I can share with you exactly what we experienced, what we saw and where we stayed. Our adventure starts in Manila. We landed at night so there wasn't much time to explore the city, but we did venture ourselves out of the tiny apartment where we were staying to go have dinner. Maybe it's just me, but for some reason I always look for healthy options at the start of a holiday - as if I start it with a healthy meal it will continue the same way. Not the case- . We found a very beautiful organic restaurant 10' walk from where we were staying in Makati. The place was called The Wholesome Table and I have to say the chicken and watermelon salad I had was out of this world! The next day we woke up to the sound of heavy rain - I guess it's the price we had to pay for visiting the country during rainy season -. That didn't stop us and we still got our trainers on and walked from the centre of Manila, Makati, all the way through Intramuros and ended in China Town. I have to say that such a long walk under the rain wasn't easy or pleasant, but it was incredible to discover how different the centre of Manila is from its outskirts. We started the walk surrounded by big roads, tall buildings and shopping centres and as we were making our way up the big roads changed into narrow ones (some unpaved), the tall buildings turned into huts and the shopping centres were now fruit stands. It's insane how life can be so different within only 1hr walk. Finally, we got to China Town and we couldn't help ourselves and rushed into Ho-Land Hopia bakery. Obviously, we couldn't leave empty handed! We bought these pineapple sweets that tasted like heaven after such a long time walking. The rain had stopped by then and we decided to walk all the way back. We did over 25km walking on that day! We were wrecked and in bed by 8pm (I blame the jet lag for some of it too.). We took the first flight to Puerto Princesa and got on a mini bus, which we had previously booked, to el Nido. It's and over-5-hour journey but, judging by the speed our driver was going at, I am pretty sure we got there in less time! 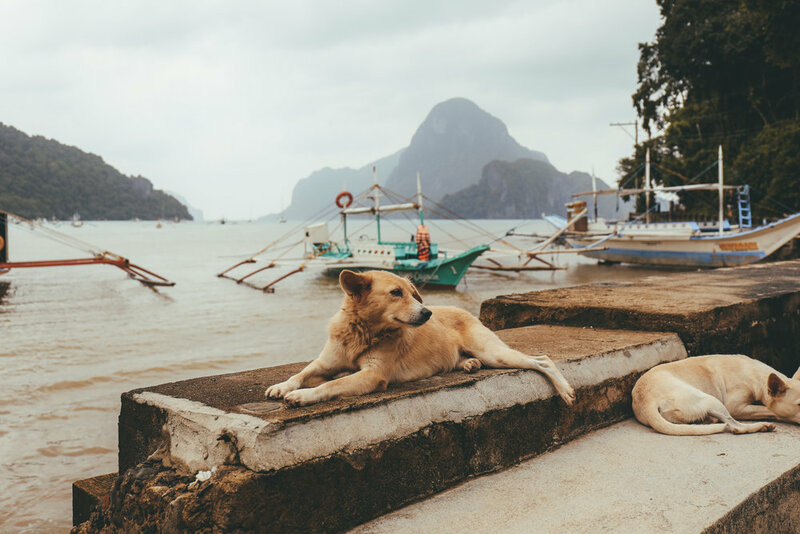 Once we got to El Nido and stared at the landscape our cramped up legs and sore necks didn't ache anymore. What a view we had!! It wasn't sunny, but it wasn't raining and the water still looked crystal blue and the palm trees still made the place look like it came straight out of a postcard. Then it was time for us to find our accommodation for the next 3 nights -down the steps, along the beach, turn right and into the woods-. And then there we were, at the gate of The Birdhouse. The 150 steps to the reception area are a workout! Would have given up if it wasn't for the signs you find along the way that encourage you to keep going. We got greeted with the most delicious welcome drink - I had two! It really was that nice -. The nests (rooms) are high up the trees and the views from there are just breathtaking. 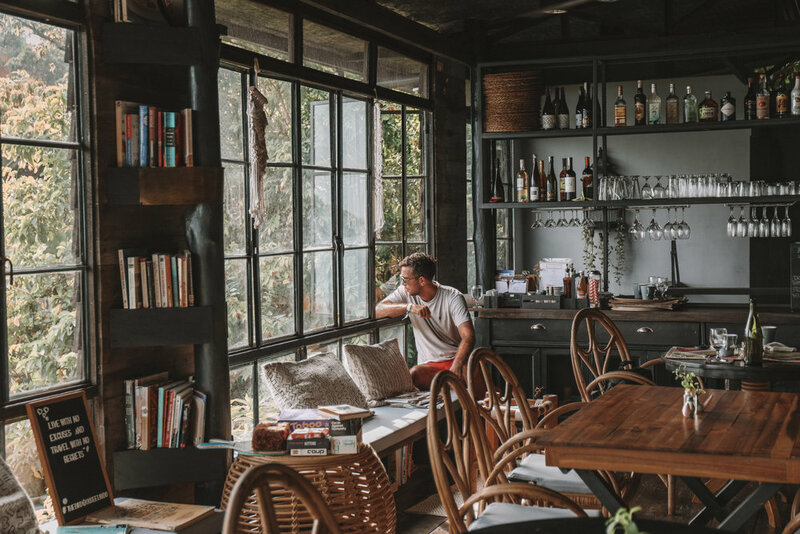 We were lucky to stay in such a wonderful location because the weather wasn't by our side during our stay so that place offered the perfect place to chill. Also, they have the friendliest puppy, Pakwan - which means watermelon -. He would randomly check up on us and keep us company while we were hanging out outside our tent. He is the cutest host! The food at The Birdhouse restaurant was so yummy that we actually had dinner there every night. If you go, please try the brownie for dessert! 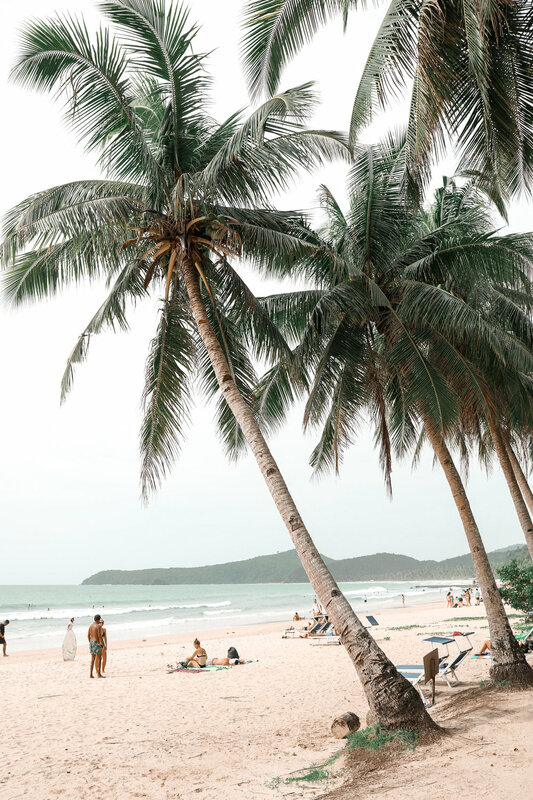 Unfortunately, we didn't get to do any tours due to the weather but on the day we saw a glimpse of sunshine we decided to go see Nacpan Beach and Nagkalit-Kalit Waterfalls. The staff at The Birdhouse were so helpful during our stay, they booked the tricycle for us and the driver, Jojo, was incredibly friendly. He waited for us while we went up to the waterfalls and while we were at the beach. If you stay at The Birdhouse I would really recommend him as your driver. 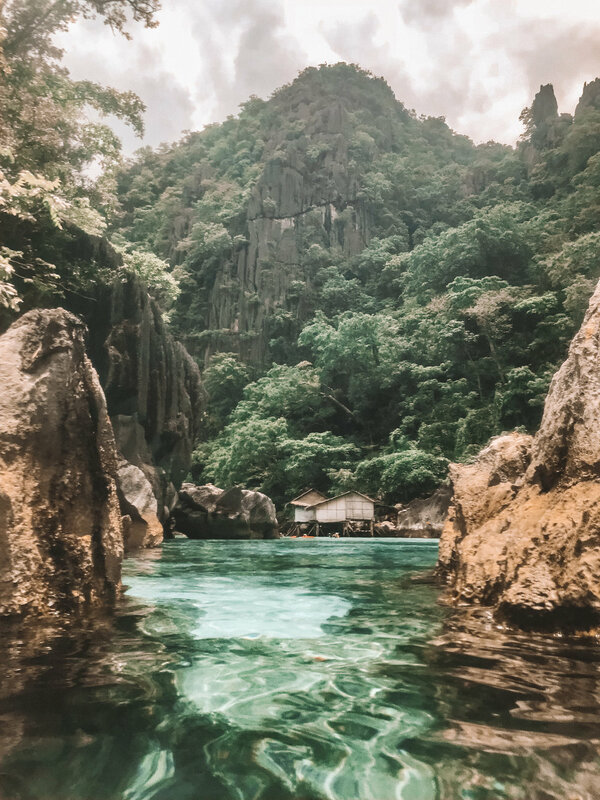 If you are looking for attractive islands, secluded white-sand beaches, crystal clear lagoons and lakes, Coron is the place for you. We took ferry from El Nido in the morning and arrived in Coron village after lunchtime. It's a lively little town which is built around a busy main road full of shops, schools, hotels and backpacker lodges, diving centres and places to eat. After checking in at Coron Villa we decided the best way to enjoy that sunny afternoon was to rent a bike and explore. We rented one at the first bike rental that we saw and the lady only charged us PHP150 (around £2) for 5 hrs. The ride was amazing, we escaped the hustle from the town centre and explored the pretty island. Somehow we ended up in a bakery and couldn't help but buy a couple pastries and sat on a town square by the ocean to watch the sunset. 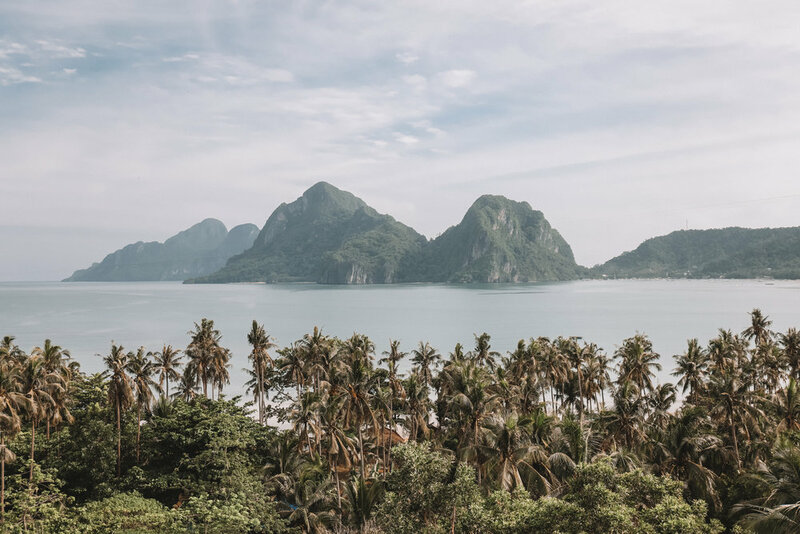 We could not leave the Philippines without experiencing an island hopping tour, so that night we booked the Super Ultimate Tour for the next day no matter how good the weather would be. It was pouring down with rain when the tricycle came to pick us up the next morning and took us to the boat. Luckily for us, the skies cleared and the sun was shining bright even before we started sailing away. The crew were already starting to grill the fish for lunch, cutting the vegetables and getting everything ready for our lunch later. The Super Ultimate Tour –it does make its name justice– will allow you to visit Kayangan Lake, its famous lookout spot and the million steps to get there and back! You'll be able to swim in the fresh and crystal water in Barracuda Lake (the steps to get there were so slippery!) and swim and explore the beauty of Twin Lagoon surrounded by crystal clear blue water and precious towering limestones. You'll snorkel around Siete Pecados, discover the mystery of Skeleton Wreck and snorkel around a shipwreck from the World War 2 Japanese ship attack in 1944. 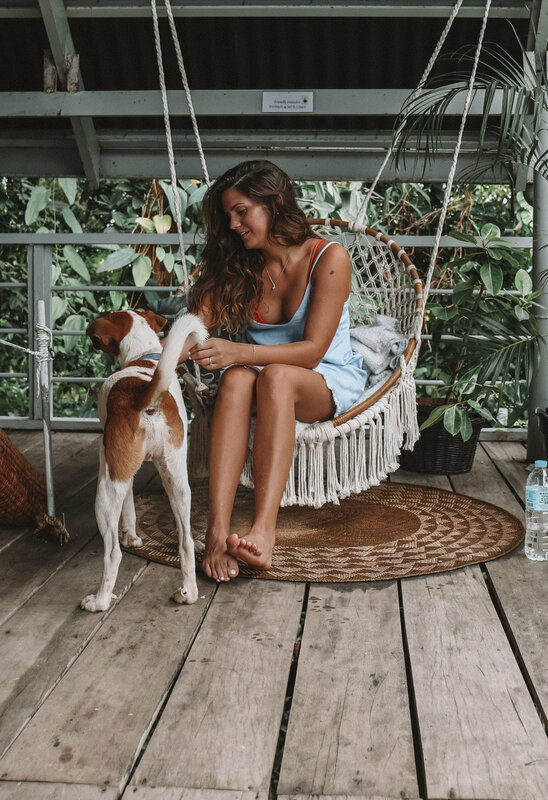 You will be able to admire the beauty of Malwawey Coral Garden and its tropical colourful fish and enjoy the warm white sand and delicious lunch on Banol Beach sipping on a fresh coconut. It was one of the best days I had in the Philippines. This was our last island left to explore before leaving the Philippines. 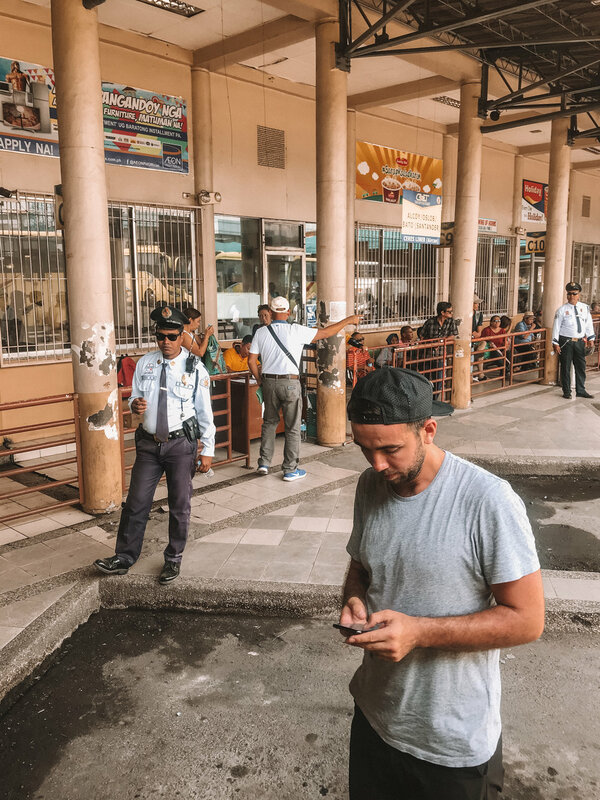 We landed in Cebu and experienced the organised chaos in South Bus Terminal. Somehow we ended up on the bus that we wanted: headed to Badian and no air con –we didn't fancy that at the time but we ended up enjoying it very much! There is something fun about going on a 4hr bus ride with the windows down. I was surprised about Badian! It was busy. Little, but busy. They were celebrating their town fair and holding their Miss Badian beauty pageant on the dates we were there, maybe that explains the hustle and excitement in the air. We stayed at The Guest House, which is located a little off the main road. Lucky the friendly locals showed us the way and we were even invited by a group of ladies to sing karaoke and join a birthday party later in the night. You must be wondering why we chose Badian? Well, the answer is Kawasan Falls. These amazing waterfalls are only about 10-15min away and if you take the yellow bus that runs continuously the journey will only cost you PHP11 per person – bargain! We went there twice: when we first got to Badian and on the next day early in the morning (only way to avoid the crowds). After visiting the falls in the morning we went back to TGH for breakfast, The staff there were so friendly that just made us love Badian even more. After, we hopped on our regular yellow bus with no aircon and made our way to the town next door, Moalboal, to explore. That was where we saw the most tourists since we landed in the Philippines. 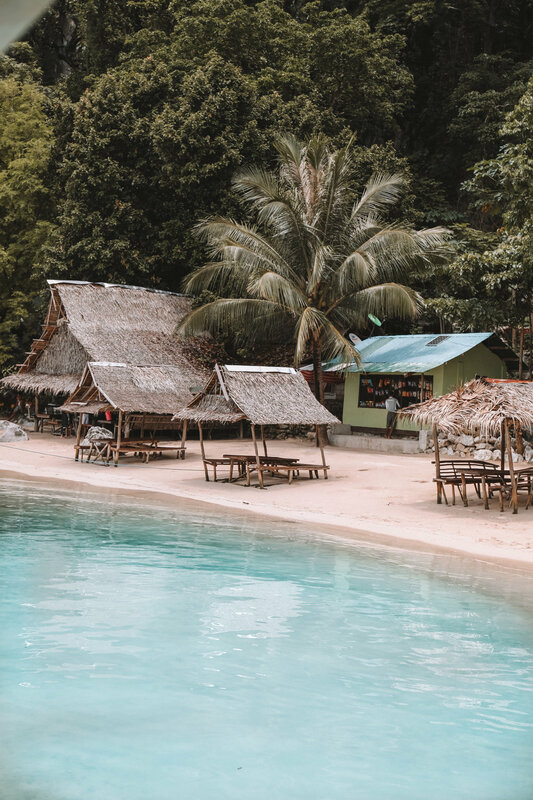 Moalboal is very frequented by divers who want to experience and incredible coral wall, beautiful marine life and even their world-wide famous sardine run. After exploring this coastal town we stopped at Kiara's Restobar for lunch. The food was amazing! You can actually see how much love the chef puts into preparing your food because the kitchen is open, so he cooks it right next to you. After eating our main we ordered dessert and he told us "you eat too much!!!". He was right. We ended up staying there for a good few hours as it had started to rain and by the time we left we already felt part of the family business. The next morning we made our way up to Cebu city on our favourite bus and then boarded a plane to Manila hoping to continue our travels in Indonesia. Those who follow me on instagram know that wasn't possible due to a passport issue... Oh well! Philippines, you were incredibly beautiful. I really hope to visit again someday –maybe during dry season this time! And if any of you guys are planning a trip to the Philippines and have any questions please leave a comment or send me an email. I will be more than happy to help!